This website is provided by One Investment Group Pty Ltd (One Investment Group), and has been designed for information and enquiry purposes only. Your use of this website signifies your acceptance of and agreement to these terms and conditions. If you do not agree to be bound by these terms and conditions please do not use this website. While the information is given by One Investment Group in good faith, it does not warrant that it is accurate, reliable, complete, or free from error or omission. Subject to any terms implied by statute which cannot be excluded, One Investment Group and its directors, employees and associates, do not accept any responsibility for errors in, or omissions from the website. The information in this website is of a general nature only. It does not take into account your personal objectives, financial situation or needs. The information is not intended to constitute investment, legal or taxation advice as it is of a general nature only. Accordingly, before making any decisions, taking any action or refraining from taking any action, One Investment Group recommends that you seek independent professional advice prior to taking any action in reliance upon the information given your particular circumstances. Neither the information nor any opinion expressed in the website constitutes an offer by One Investment Group, its subsidiaries or associates to buy or sell any financial products nor the provision of any financial product advice or service. None of the services or financial products referred to on the website are available to persons resident in any state or territory where such distribution would be contradictory to local law or regulation. The Product Disclosure Statements, Supplementary Product Disclosure Statements, and Continuous Disclosure Notices (PDSs) and Information Memorandums (IMs) available on this website are intended for the use of Australian residents only. Neither One Investment Group, its subsidiaries nor its associates guarantee the performance of any of the financial products contained on the website, the repayment of capital invested or any particular rate of capital or income return (unless otherwise stated in the relevant PDS or IM). Remember, past performance information is not necessarily a guide to future performance. Amounts are in Australian dollars unless specified otherwise. Although One Investment Group has taken all reasonable care that the information contained on the website is accurate at the time of publication, no representation or warranty (including liability in respect of third parties), expressed or implied, is made as to its accuracy, reliability or completeness by One Investment Group, its subsidiaries or its associates. Opinions and any other contents on the website are subject to change without notice. Copyright on all materials belongs to One Investment Group unless otherwise stated and does not pass to you when you download it. You may not alter the materials in any way or reproduce or otherwise use them for any public or commercial purpose unless you have prior written approval from us. You must not transfer the materials to any other person. You may print out any content on this website for your personal use. You agree to abide by all additional restrictions displayed on the website as it may be updated from time to time. This website is copyrighted and protected by copyright laws. You agree to comply with all copyright laws in your use of this website and to prevent any unauthorised copying of the materials. In no event shall One Investment Group or any of its subsidiaries or associates be liable to any website user or any other entity for any direct, indirect, special, consequential or other damages that are related to the use of, or the inability to use, the content of this website. One Investment Group reserves the right to change, modify, add or remove any portion of these Terms and Conditions in whole or in part, at any time. Changes in these Terms and Conditions will be effective when notice of such change is posted. Your continued use of the website after any changes to the Terms and Conditions are posted will be considered acceptance of those changes. This website is administered by One Investment Group. One Investment Group makes no representation that materials on this website are appropriate or available for use for any locations outside of Australia and access to them from jurisdictions where their contents are illegal is prohibited. The information is provided for Australian residents or citizens who are currently located in Australia only. These Terms and Conditions of use shall be governed by the laws of the State of New South Wales. These Terms and Conditions constitute the entire Terms and Conditions between One Investment Group and you with respect to your use of the website. Any cause of action you may have with respect to your use of the Website must be commenced within the period provided by any applicable statute of limitations. If for any reason a court of competent jurisdiction finds any provision of the Terms and Conditions or portion thereof, to be unenforceable, that provision shall be enforced to the maximum extent permissible so as to affect the intent of the Terms and Conditions, and the remainder of these Terms and Conditions shall continue in full force and effect. This website may contain links to other websites. One Investment Group has no control over the information on these websites or the products or services on them, and therefore makes no representations regarding the accuracy or suitability of the information, services, or products described on them.  One Investment Group does not warrant the accuracy or completeness of the materials or the reliability of any advice, opinion, statement or other information displayed or distributed through this website. You acknowledge that any reliance on any such materials shall be at your own risk.